Our 1st family blogging event took place last weekend at an amazing cinema on Shaftsbury avenue called The Picture House, I’ve never been to this cinema before and was very impressed with the nice comfy reclining chairs, and decor. This event was also the first visit to a cinema for Grace. 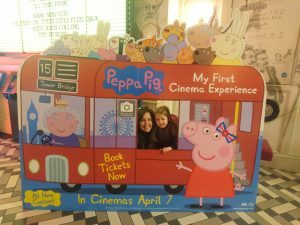 The event was the launch of the brand new Peppa Pig, ‘my 1st cinema experience’. 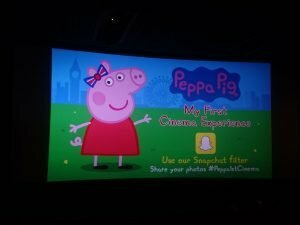 Having experienced a marathon Peppa Pig day many times, both myself and my wife thought that we could handle 1 hour in the cinema of Peppa Pig…. It can’t be that bad eh?! 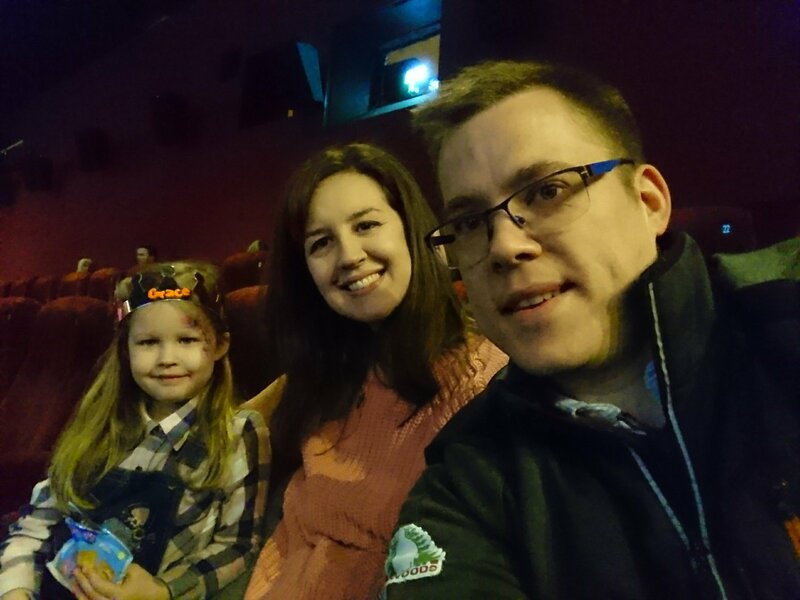 Grace was rather excited to visit the cinema, armed with juice and some snacks we found our seats and waited for the film to begin. We were lucky enough to have Nick Davis, the producer of Peppa Pig introduce the movie to the audience. Without giving the plot away, it was rather interactive. With a mix of puppet versions of Peppa and George alongside Daisy and then the “normal” cartoon version of Peppa that we all know and love. Grace got stuck in with the interactive part of the movie singing and dancing, she didn’t quite manage to get out of her chair and dance in the aisle like some of the other children in the cinema. I quite liked the singing competitions against adults vs the children. I don’t want to spoil the film anymore. 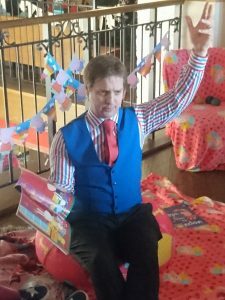 At around 45 minutes into the film I noticed Grace was loosing interest in the film, and it seemed quite of the other children in the cinema audience were also getting twitchy. The film lasted an hour which I think is just about right. 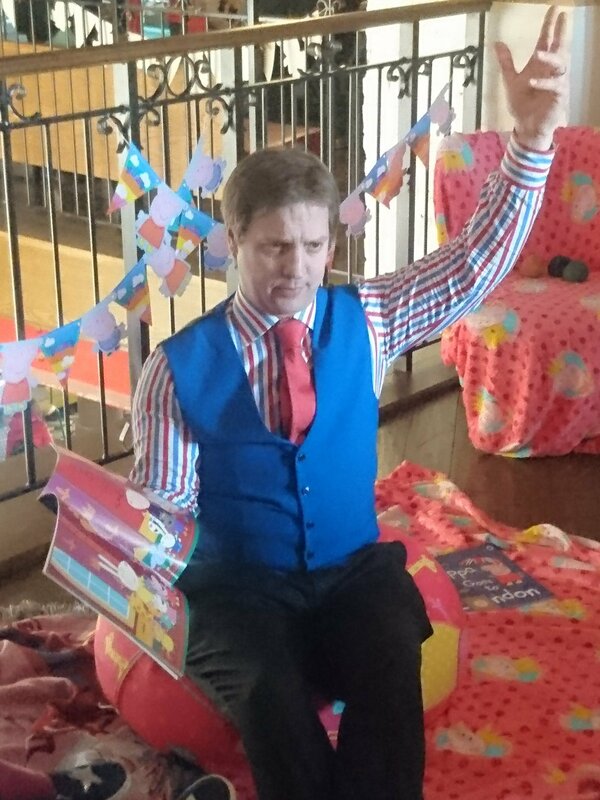 I don’t think the adults could watch anymore Peppa, and as I said Grace and many other children seemed to have had enough. 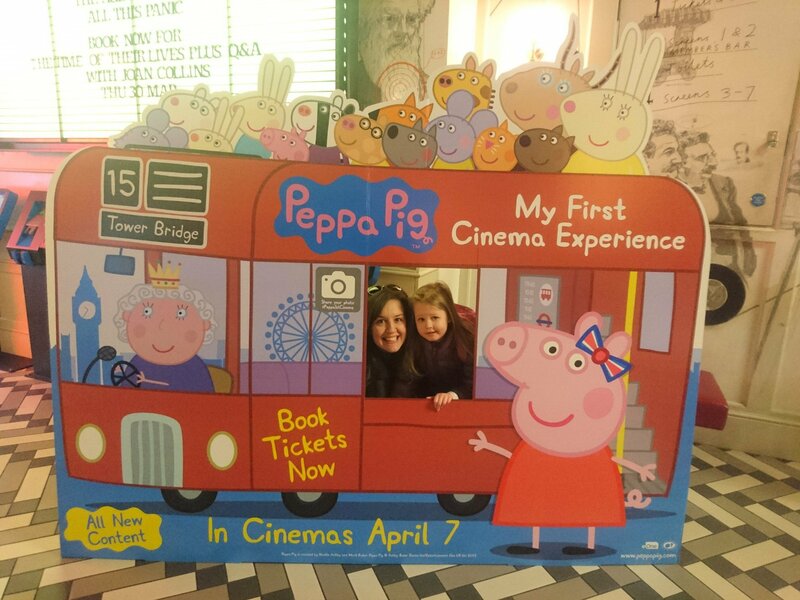 On our journey home from, I asked Grace what she thought of the film and she smiled and said it was fun but she preferred the Peppa Pig episodes of the TV, why’s that I asked her, she replied because I know all the words!! All in all it was a good film and the duration was the right time any longer and it would be too much. Would I recommend it? Yes if you don’t mind 1hr of non stop Peppa Pig, would Grace recommended it- she gives it a double thumbs up. Peppa Pig my 1st cinema experience comes out in cinemas across the UK on April 7th.